A horde of players are waiting inside the penalty area for a cross from the corner, but Antoine Griezmann (Atl. Madrid) takes it short. Saul (Atl. Madrid) sends a beautiful cross into the penalty area, but the opposition's defence manages to clear the ball to safety. The referee points to the corner flag. It's a corner to Atl. Madrid. Antoine Griezmann (Atl. Madrid) works the corner short instead of sending the ball into the penalty area. A cross into the box from Filipe Luis (Atl. Madrid) is cleared. Good work from Atl. Madrid as they win a corner. Antoine Griezmann (Atl. Madrid) takes a short corner kick. Antoine Griezmann (Atl. Madrid) delivers a long ball, but it lacks enough power to reach his teammates and is intercepted by one of the defenders. The ball is out of play. A goal-scoring opportunity from a corner for Atl. Madrid. A quickly taken corner by Rayo Vallecano. Alex Moreno (Rayo Vallecano) sends the ball into the box from the side of the pitch, but his cross is blocked. The linesman points to the corner flag, Rayo Vallecano are going to take it. Bebe (Rayo Vallecano) finds some space on the edge of the box after some nice individual play and curls a shot in on goal, but the ball flies just wide of the left post. Michel has decided to make a change. Alvaro Garcia (Rayo Vallecano) replaces Alejandro Galvez. The manager makes a subsitution with Rodrigo coming on for Stefan Savic (Atl. Madrid). Goal! Alvaro Morata plays it to Antoine Griezmann (Atl. Madrid), whose deflected shot from inside the box goes past the helpless Stole Dimitrievski. 0:1. Rayo Vallecano seem to be finding their feet as they enjoy some possession. Great movement by the offensive players allows the defenders to set up the attack. Thomas Lemar (Atl. Madrid) takes the corner, but the goalkeeper jumps and gathers the ball. Bebe (Rayo Vallecano) swings in the corner, but fails to find any of his teammates. One of the defenders reacts superbly to get it clear. Corner kick. Rayo Vallecano will have an opportunity. Raul De Tomas (Rayo Vallecano) receives a pass inside the box, controls the ball and drills it towards the left post. Unfortunately for him, Jan Oblak makes a great save to stop his effort. Thomas Lemar (Atl. Madrid) lifts the ball into the box from the corner, but one of the defending players gets there first to head it clear. Diego Costa (Atl. Madrid) sends a lofted cross into the box which is headed clear. Atl. Madrid get a corner. Jesus Gil Manzano blows his whistle. Saul (Atl. Madrid) commits a foul after dangerous play. The linesman raises his flag as one of the players from Rayo Vallecano was in an offside position. Substitution. Diego Costa (Atl. Madrid) has come on for Victor Vitolo. We are about to witness a substitution. Thomas Lemar (Atl. Madrid) is replacing Angel Correa. Substitution. Bebe (Rayo Vallecano) replaces Oscar Trejo. Here is a change. Adri Embarba is going off and Michel gives the last tactical orders to Pozo (Rayo Vallecano). Raul De Tomas (Rayo Vallecano) had a golden opportunity. He volleyed from point blank range towards the middle of the goal, but Jan Oblak was alert and made an amazing save! Santiago Comesana (Rayo Vallecano) was too forceful with his tackle and Jesus Gil Manzano interrupted the game to signal a free kick. The attendance for today's match is 13880. The game is interrupted now, Alex Moreno (Rayo Vallecano) picks up a knock and the physio has to come on. Raul De Tomas (Rayo Vallecano) meets a cross on the edge of the box and gets his head on the ball, but it goes a whisker wide of the left post. The game is interrupted. 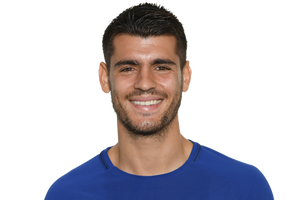 Alvaro Morata (Atl. Madrid) has violated the rules in the battle for the ball. No protests or gestures are being made as he is quite aware of what he did. Antoine Griezmann (Atl. Madrid) sends over a cross from the side into the penalty area in order to find one of his teammates, but he fails and the opportunity goes begging. Atl. Madrid continue the game with a quickly taken free kick. A player from Rayo Vallecano commits a rough challenge. Jesus Gil Manzano blows for a foul and keeps the game under control. The Atl. Madrid players are displaying brilliant short passes and great ball movement. They are waiting to open the opposition's defence and hit them swiftly on the break. The ball is cleared after Alvaro Morata (Atl. Madrid) attempted to dribble past an opposing player. Rayo Vallecano didn't take advantage of the corner and score as the opposition's defence was alert and averted the threat. Raul De Tomas (Rayo Vallecano) takes a wonderful touch after collecting a pass inside the box. He steers his shot towards the roof of the net, but the keeper makes a superb save! The ball is out of play. Rayo Vallecano will have a chance to score from a corner. Atl. Madrid concede a free kick following a bad challenge. Raul De Tomas (Rayo Vallecano) latches on to a precise defence-splitting pass and drills a nice strike from a promising distance towards the middle of the goal. Jan Oblak has a clear sight of it and makes a comfortable save. Mario Suarez (Rayo Vallecano) attempts to find one of his teammates, but puts far too much on the pass and the chance is gone. Alvaro Morata (Atl. Madrid) gives away a foul during an attacking move and the referee blows his whistle. Atl. Madrid have been awarded a corner kick. Santiago Arias (Atl. Madrid) races towards goal but the defender gets back well to make a challenge. The referee and one of his assistants signal for a corner kick to Atl. Madrid. Santiago Comesana (Rayo Vallecano) receives a low pass just outside the box and unleashes a fine strike towards the middle of the goal. Jan Oblak pulls off a reflexive save to block his effort. Nice goalkeeping skill, indeed. Tito (Rayo Vallecano) looks to break free, but an opposing player clears the ball away. Alex Moreno (Rayo Vallecano) attempted to pick out a free teammate inside the box, but Jan Oblak comes off the line to clear the ball away. One of the Atl. Madrid players commits a holding foul and the referee reaches for his whistle. Victor Vitolo (Atl. Madrid) slips past one challenge, but is unable to feed a low pass into the path of one of his teammates. Oscar Trejo (Rayo Vallecano) gives away a foul for a clumsy challenge. Referee Jesus Gil Manzano saw the whole situation. Filipe Luis (Atl. Madrid) creates himself some space around the penalty spot and connects with the free kick. His header is aimed towards the middle of the net, but Stole Dimitrievski pulls off a comfortable save to thwart him. Atl. Madrid have been awarded a free kick from long distance, it won't be a direct shot. A player from Rayo Vallecano commits an attacking foul. The referee blows his whistle. Saul (Atl. Madrid) leaps highest in the middle of the box to meet a lofted ball and powers a header at a goal, but unfortunately for him it flies just over the bar. The players are out and the match is about to start. Rayo Vallecano will have the kick-off. Let us introduce today's referee to you, and it's Jesus Gil Manzano.